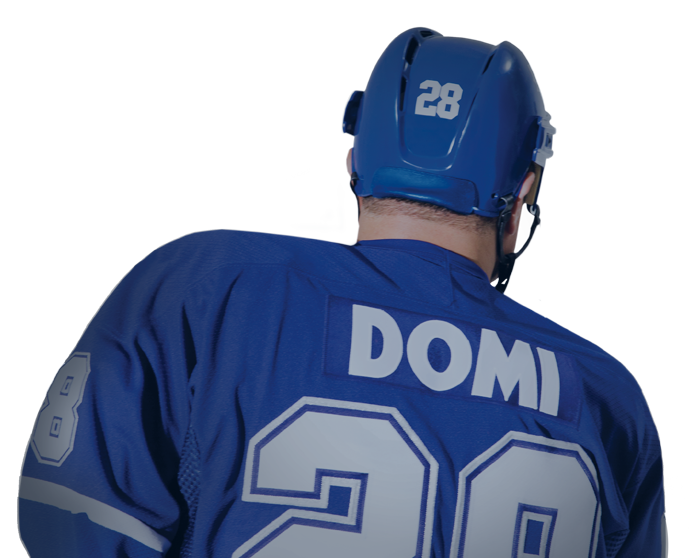 From hockey’s most prolific fighter comes a sports memoir unlike any other—passionate, funny, and candid, Shift Work chronicles Domi’s sixteen tumultuous seasons in the NHL. Shift Work is more than just a sports book. Tie tells about his personal and professional life, from being a young boy to the present. The book is a winner, just like Tie. Without Tie at my side, I couldn’t have accomplished what I did in Toronto. Tie is a loyal friend who is one of a kind on and off the ice. The best teammate I never had. Tie and I have many things in common – first and most obvious being our extremely large head sizes. But what is most endearing and special about Tie is the size of his heart, his sense of humor, and his amazing generosity. I love him like a brother. My four beautiful children all refer to him as Uncle Pumpkin – see if you can figure out why! I loved Shift Work. It is a must read for anyone who is passionate about hockey as I am. But what makes the book particularly memorable is the telling of Tie’s remarkable life both on and off the ice. He is a real and inspiring champ at everything he does. I am very proud to call Tie my friend. With Tie, what you see is what you get. And there is a world shortage of that, in every respect. Tie is the baseline for ‘real,’ and he is ‘old school.’ It goes back to his parents teaching Tie those sorts of values, that if you hit a rough patch, you pull yourself up by your bootstraps. The strongest and most powerful guy that I know….He would lift me up over his head and be laughing while doing it…I learned something about Tie when we were both young and playing for the Rangers and it is still true to this day: there’s no challenge he isn’t willing to take on. I’m talking about life, business, you name it. And he takes on all of his challenges head on. I will say this about Tie Domi: he was always driven at what he did. People that are driven at certain things – and I only saw the hockey side – you know it is going to translate off the ice. It just has to; it is part of their DNA and part of their character. Typically we only hear about the sad NHL stories. But there are a lot of really good ones because of the characteristics and life skills a lot of players picked up over the course of their playing career, and Tie would be a really good example of that. Tie sets his mind to a goal and he does it. That’s the way he did it in hockey. You want to be his friend; you want to be close to him. You feel secure when you’re next to him, not only because of the physical aspect that nobody is going to mess with you but because he’s a true friend. Shift Work is a story of true grit and is sure to inspire people who have followed Tie’s career on and off the ice. Throughout our long friendship, I’ve seen firsthand Tie’s dedication to family, loyalty to friends, and humility and generous spirit towards his many fans. 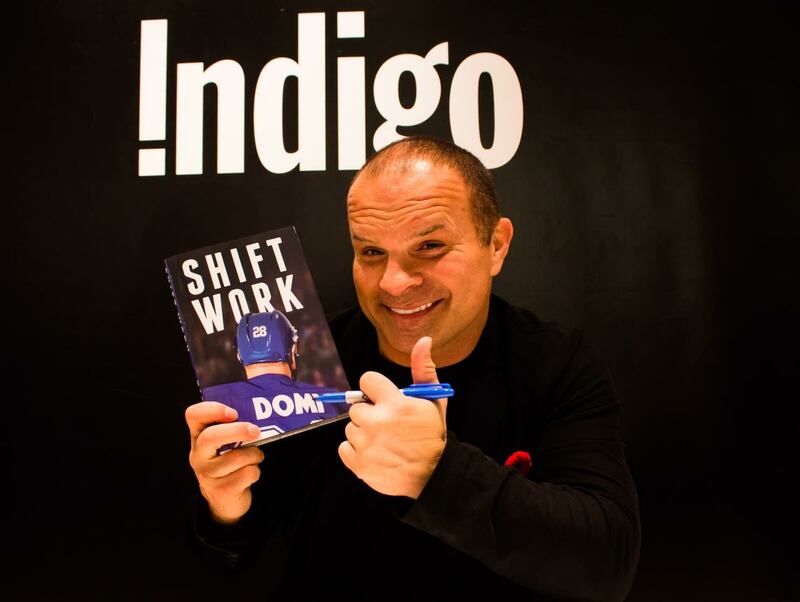 Tie Domi is one of the most loyal friends that you could ever ask to be a part of your life. I really got to know Tie when I coached his son, Max, who played with my son Eric. Most people see Tie as the best protector of the stars he played with. I see him as a man who has a bigger heart than his head – a man who will always be there for all his friends. With all that said, his greatest asset is his family. I have been around many people, but nobody loves their children the way Tie loves Carlin, Avery, and Max. He is the best family man I have ever met. I love Tie Domi.